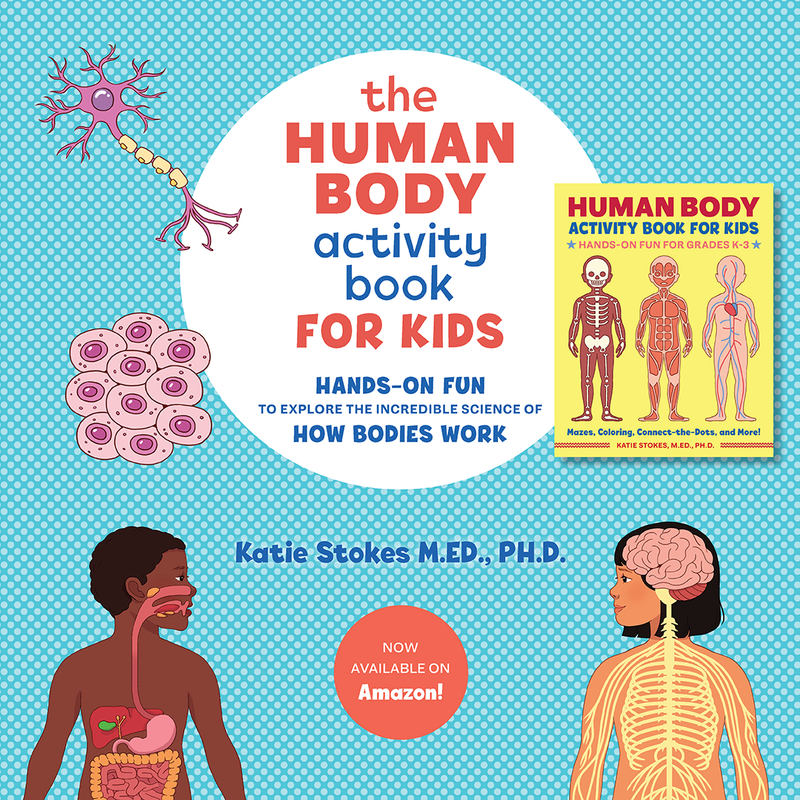 Seed activities are great for kids from preschool through elementary school. 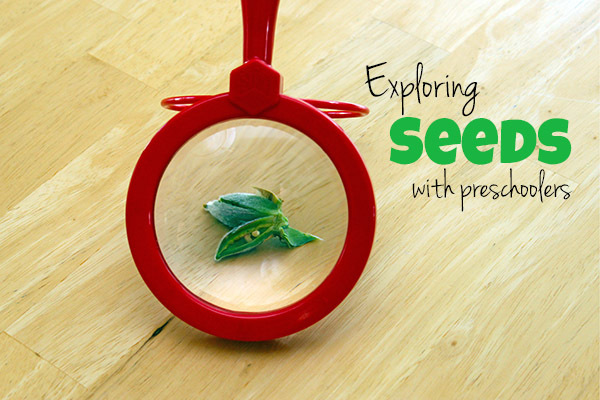 Younger kids can learn about seeds through hands-on exploration, and older kids can design experiments to test hypotheses about how seeds grow best. 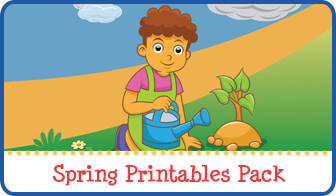 With spring approaching, now is the perfect time to learn about seeds! 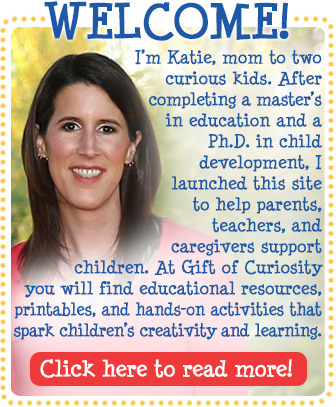 Below you’ll find a number of awesome seed science activities and seed experiments to explore with your kids. Exploring seeds from seed packets: We opened 12 packs of vegetable seeds and compared and contrasted the seeds inside. 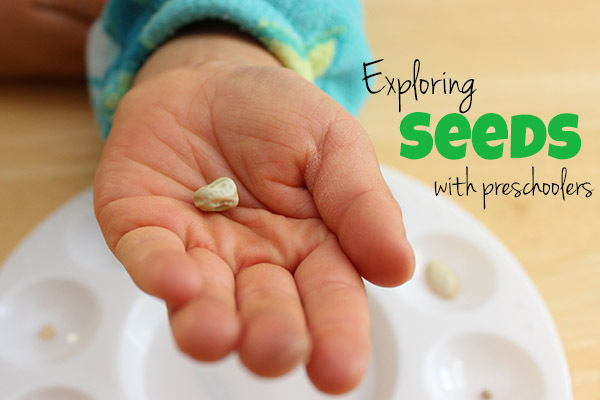 Exploring seeds found in nature: We found several seeds in our backyard and explored their different characteristics. 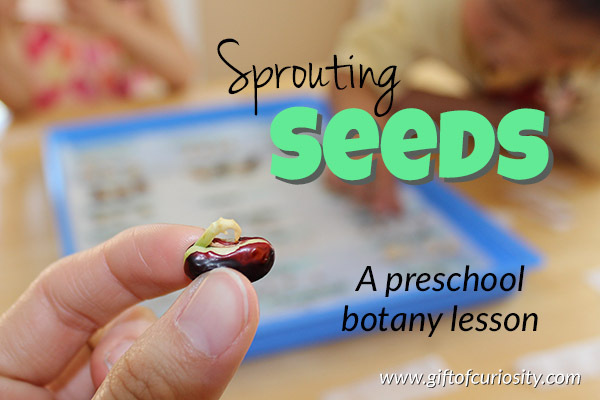 Sprouting different kinds of seeds: We sprouted 24 different types of seeds to compare their sprouting process. 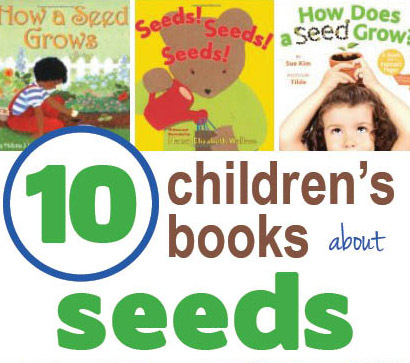 Children’s books about seeds: We read 10 different books about seeds to learn how seeds sprout and then grow into plants. 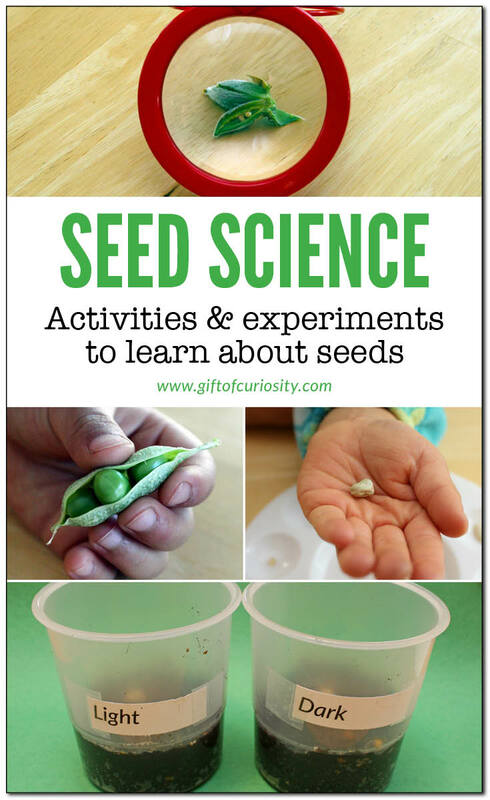 Fantastic Fun and Learning did an investigation that asked: Are seeds the same? 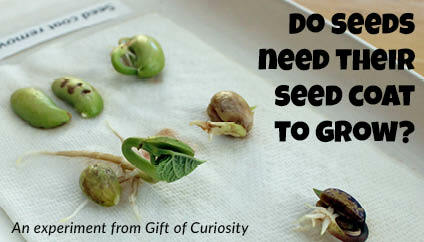 Do seeds need light to grow? 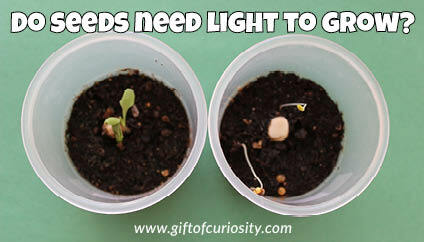 : We conducted an experiment to compare how seeds sprout when they have access to light and when they do not. 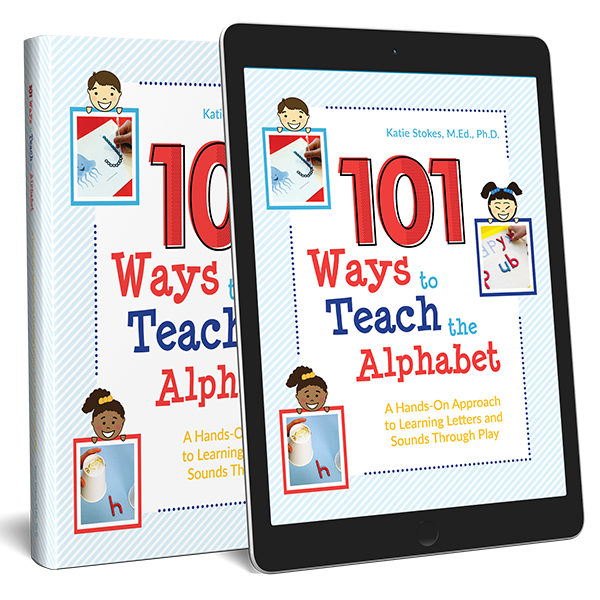 What temperature do seeds like? 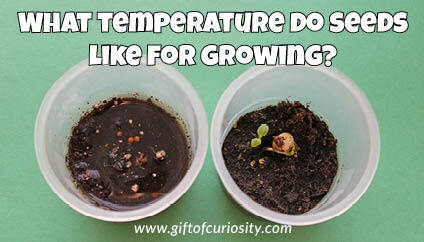 : We conducted an experiment to compare how seeds grow under different temperature conditions. 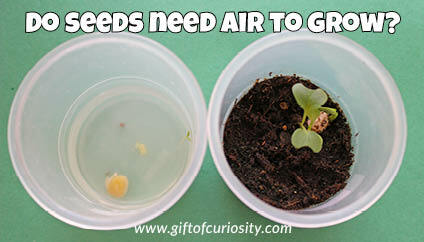 Do seeds need air to grow? : We conducted an experiment to compare how seeds grow when they have access to air in the dirt and when they do not have access to air. 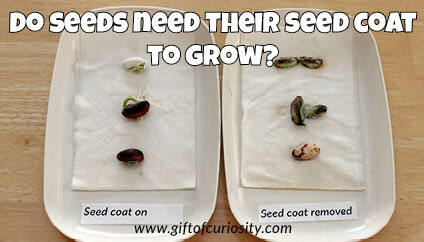 Do seeds need their seed coat to grow? : This was the first experiment we conducted to learn whether seeds grow better if their seed coat is intact vs. if their seed coat is removed. Another seed coat experiment: This was the second experiment we conducted to understand how having an intact or missing seed coat affects seed growth. 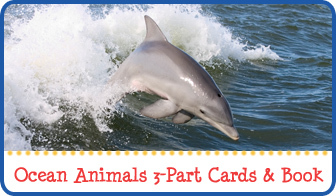 What liquids do seeds like? 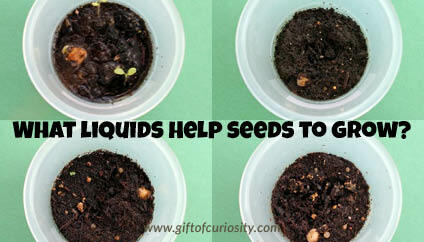 : In this experiment, we sprouted seeds using four different liquids to explore which liquids help seeds to grow.